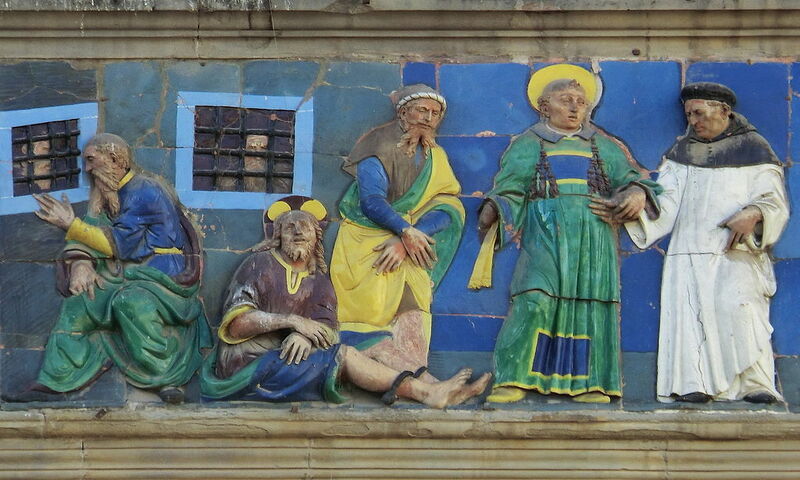 30 kilometres (19 miles) northwest of Florence is the medieval town of Pistoia. It is capital of the same name province, the second smallest in Tuscany after Prato. 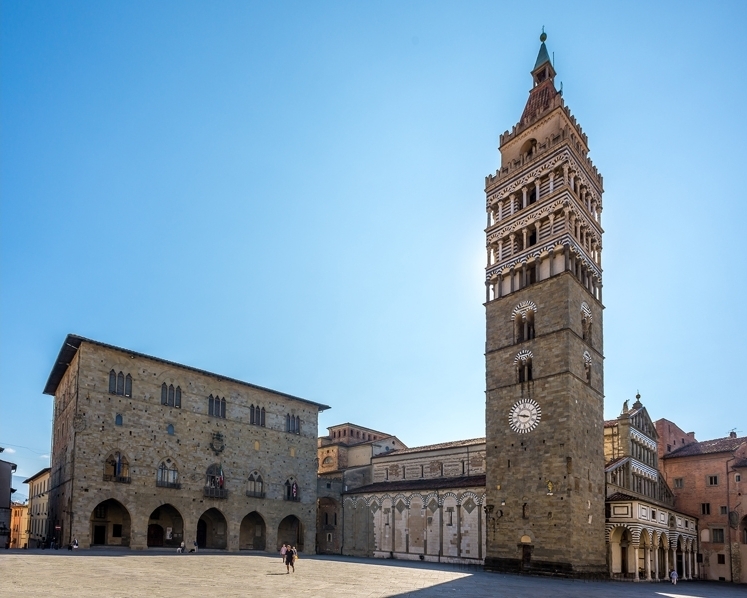 Every year Pistoia’s well-preserved and charming town centre attracts many tourists inside its old walls. 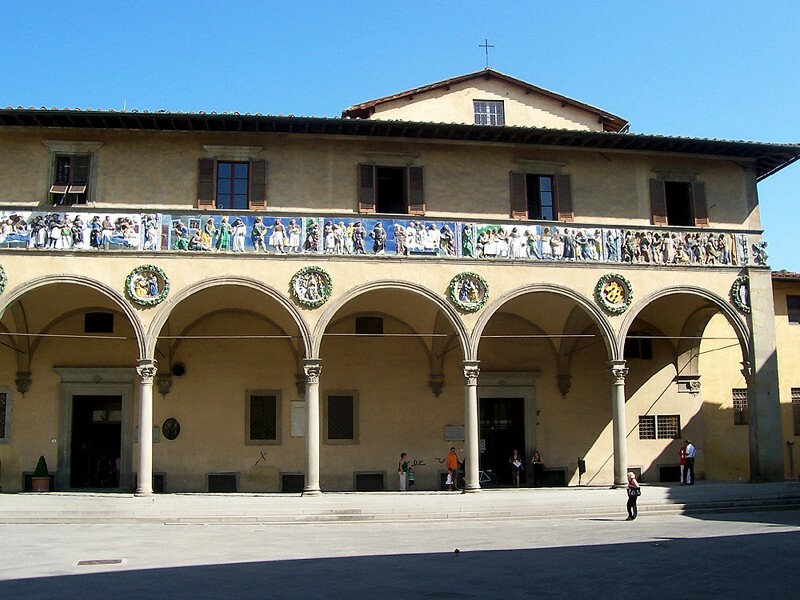 After the extraordinary Piazza del Duomo, dominated by the 12th-century Cathedral and lined with medieval buildings, another important sight in Pistoia is the incredibly beautiful medieval hospital, Ospedale del Ceppo. The beauty of this building, the result of a series of additions and restorations on the original 13th-century edifice, is particularly the current façade. 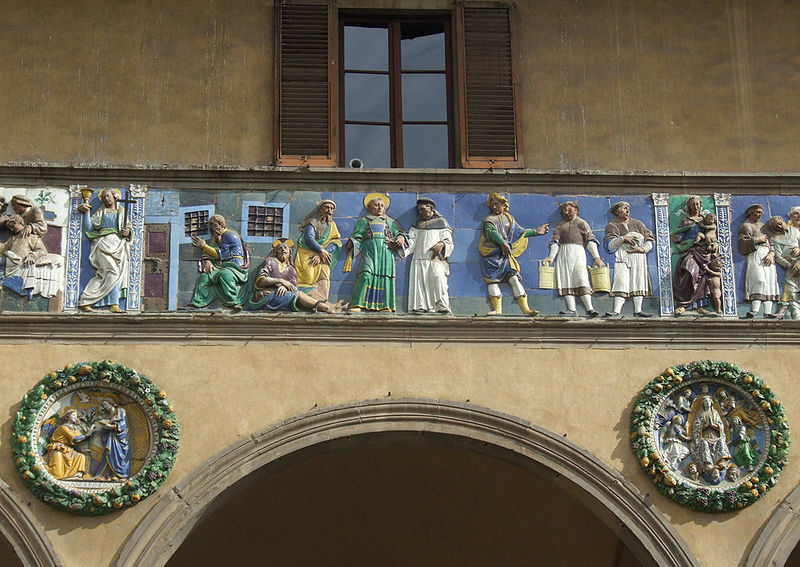 The Renaissance arcaded loggia was built in 1502, inspired by the Ospedale degli Innocenti in Florence, while the magnificent ceramic glaze frieze by Santi Buglioni and the tondoes by Giovanni della Robbia were made in 1525. 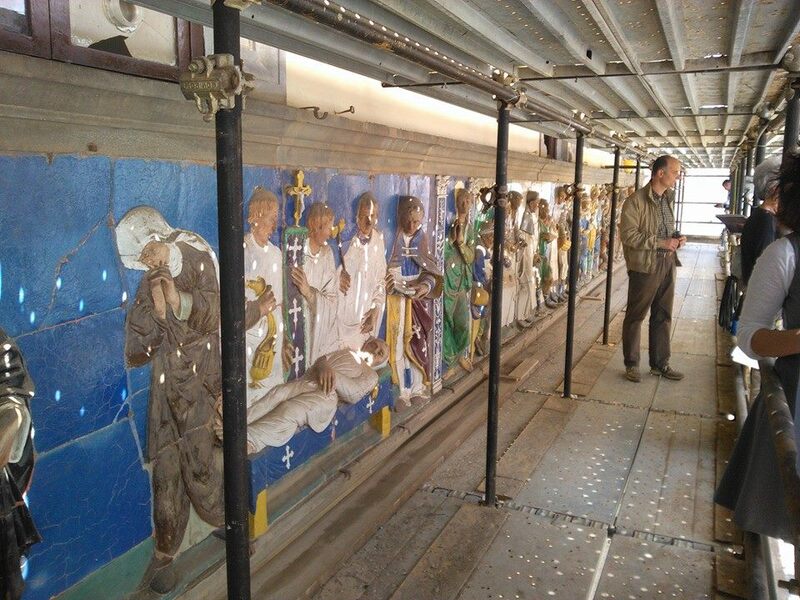 Recently these remarkable ceramic glaze masterpieces have been restored and Pistoia has decided on a unique experience to admire them: a guided tour on a special scaffold. This way these incredible works of arts will be within touching distance. The guided tours are available every day from 10.30 am to 11.20 am and from 3.30 pm to 4.20 pm and in various languages. Reservations are recommended. 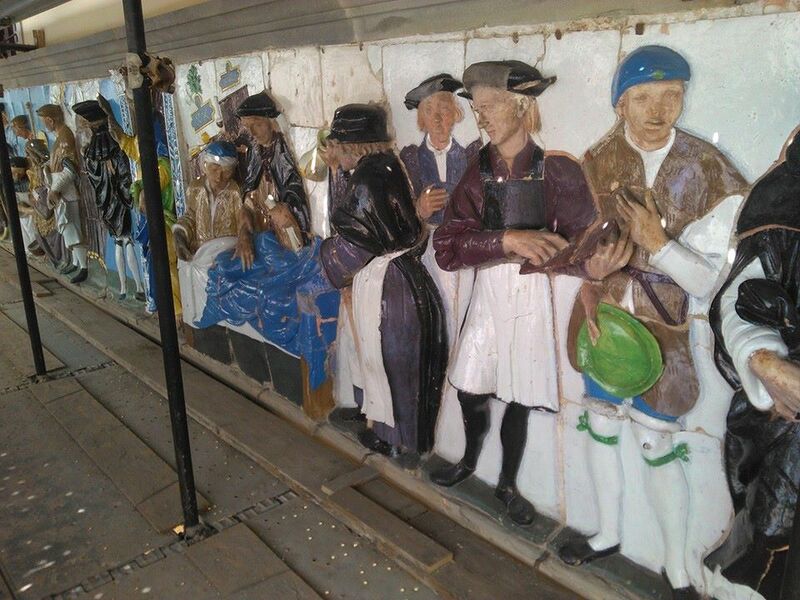 Questa voce è stata pubblicata in Art in Tuscany, Culture in Tuscany, Pistoia, Tuscan towns and cities, Tuscany e contrassegnata con ceramic glaze, Giovanni della Robbia, Ospedale del Ceppo, Pistoia, Santi Buglioni. Contrassegna il permalink.